Waltzing Matilda: Pretty, Gritty, Real? I was really surprised when a college friend told me on FB that she read about my blog over at the National Catholic Register. Apparently, a comment that I left for Hallie Lord got picked up by Simcha Fisher. I have to admit, my first reaction was "Great. Now everyone knows I have a therapist!" It's not a secret, I've talked about it on my blog before but I usually don't go talking about it in national online publications. Recently, Erin from Australia asked me my thoughts on how the blogosphere has changed since I've started blogging after I mentioned that sentiment in a previous post. All of this led me to sit down and put some words to digital paper. Why? Because this is what my blog is. A place for me to think, share, document, and remember. It seems to me that there are as many different blogs out there as there are people in the world, but there are a few categories that I've pinpointed in the Mommy Blogworld. I'm going to say right out that I don't like putting people in boxes and just because one person might write the sort of thing to go in one kind of blog category doesn't mean that they can't turn around and write something else. It's like trying to label homeschoolers. Are you more Charlotte Masonish or School-At-Homeish? Do you unschool or make your kids wear uniforms and start every morning with the pledge of allegiance? What if you do both? Which box do you go in? Get my drift? Nobody puts Baby in a corner and that's not what I'm trying to do here. "Random Diary" doesn't mean that they read like "Dear Diary... blah, blah, blah". What I mean is that these are people who like to pop in every now and then and participate in a link-up or tell everyone what they've been up to. They like to record some things for posterity sake but they come and go (posting wise) based on their whim. Sometimes they might take a longer hiatus but they never usually feel the need to say, "I'm taking a blog break. "When inspiration hits, they might pound out a post every day for a week or a month or longer. They write for themselves and usually not for a specific goal other than to satisfy their urge to connect with someone. The Professional Blogger. I'm not talking about the mom who happens to pull in some extra income using affiliate links or anyone who has ever done a review in exchange for a free book or two. No, the professional blogger is the blogger who gets paid to blog either by a specific company or through sponsors or who's blog is a marketing tool for their latest product. These bloggers usually have to be conscious of readership level and click-thrus and the fact that certain topics quickly drive traffic up. Sponsors pay based on an expectation of exposure and professional bloggers have to pay attention to their traffic in order to satisfy those expectations. I always try to remind myself when reading these blogs that basically, it's a business for them and they are probably trying to sell something whether that's their latest book or their persona. Again, I'm not saying that they aren't "real" just that these people are writing not for themselves, but specifically to cultivate regular readership and satisfy expectations. I'm not saying there is anything wrong with that, just that I think everyone would be wise to remember these things when reading professional blogs. It always helps to keep things in perspective. Simcha herself says in response to a negative comment, "Yeah, well, the difference between this lady and me is that, when I write unpleasant, pointless stuff that nobody cares about, I get paid for it. Ha ha!" Using humor and exaggeration to make a point doesn't mean there isn't a kernel of truth and in Simcha's case, she's found a niche amongst the Nitty Gritty crowd that works for her and profits both her and her family. Personally, I love listening to Jim Gaffigan and Tim Hawkins comment about marriage, family life and raising kids but I never think of them as being "more real" or better at baring their souls. No, they are professional comedians and quite good at what they do. That's why they are so entertaining! And speaking of Nitty Gritty... these are also the blogs that I can only read occasionally and not regularly. Why? Because these people make their lives sound like my worst nightmare. Yes, I understand that they might be employing rhetorical devices like hyperbole and sarcasm for the purpose of humor and entertainment, but they make me... anxious. Because you never quite know just how much is real in what they say and how much is exaggerated for dramatic/comedic effect. Yet these blogs get labeled as being more down to earth and "REAL" than the "pretty blogs". I don't understand that. If your life really is that out of control, would you really revel in it? Why wouldn't you take steps, any steps no matter how small to try to help make it better. If your house really is a disaster pit of despair, start tossing things. If your dirty clothes really are lining the hallway in piles so big you can't see the carpet, why wouldn't you get some hampers. Can't afford them? How about a cardboard box? If your 2 year old keeps reenacting a Colonial Tar and Feathering with Vaseline and Cheerios, why wouldn't you put those things and anything else that tempting on a higher shelf? I realize my reaction is really my problem, not theirs, because I am the kind of person I am. I like order. I like organization so I make it a priority. Not magazine perfection, mind you, but tidy according to my standards. My playroom is a "disaster" by my standards after one morning of Cupcake entertainment but I can ask my 9 year old to clean it up and in 10 minutes it's back to tidy because he knows where everything is supposed to go and doesn't mind putting it away for me. That's important to me. Why? Because when my house is too disordered for too long, it starts to affect my psyche. I feel disordered and I hate that. So the Nitty Grits don't appeal to me as much. I read a few and then I move on. I certainly don't think of them as liars, or accuse them of over exaggerating the ugly in order to get a few laughs. It's their way of dealing with their life. Maybe the laughter helps fights back the tears. That, I can totally understand. Now we come to my favorite! Of course I saved the best for last! (That was humor, lighten up!) I've said it before and I'll say it again. I consider my blog primarily a Digital Scrapbook. Not all digital scrapbooks are going to be pretty. It depends on what the blogger wants to highlight. I blog for me and my family. Yes, knowing that other people besides my husband and best friends read it makes it a little more fun but I'd still scrapbook even if was just for me. I need help seeing the beautiful and, most of all, remembering. What you see is what we really do. I really do make these cakes and I really decorate like this for my kids' birthday parties and I would even if I didn't own a camera to take pictures with but nowhere do you see any kind of statement saying, "If you really loved your children, you'd do this too!" Frankly, I'm a little tired of having to defend my creativity over and over. Yes, there will be occasional pseudo-complimentary comments about how mom's like me are gifted with certain talents that others don't have and that's why we are able to do what we do... like it's not work or anything, just the product of a talent we did nothing to cultivate, we were just given. Thanks a lot! If I were to say that someone's computer talent or writing talent was simply a gift from God and not a skill that's been honed and sharpened, I wonder how those women would feel? We all have God given talents and interests and motivations, but we all also have to work and practice and put those talents to good use. I might have been blessed with an artistic eye, but I have to develop it and work it to use it the best way I can for the glory of God. So, ladies... let's really build each other up. Let's really celebrate each other's talents. Let's learn from each other what we can. Let's recognize that everyone has a battle to fight and it might not look like yours. Let's not just ignore those people we can't understand or dismiss them as "unreal" to make ourselves feel better. I have learned so much from so many different people I've encountered online. I like to think it's made me a better person. Don't miss out on the chance to become a better person too. This is such a great post, Charlotte! Thank you for taking the time to write and share it with us all. I also loved reading your comment on Hallie's blog. So well said! I'm also right there with you - so tired of having to defend myself, the way I choose to blog, and the activities I do with my children. Being a Catholic Home Educating Mom of a large family is hard work and we all have our own challenges and struggles. Personally I love looking through the camera lens and zooming in on the beauty that is constantly around us. I'm so thankful for the other "Digital Scrapbook" type blogs that focus on the "pretty" and inspire me to be a better mother while giving me ideas to implement with my own family. I'm so sorry that you often have to defend yourself. Your blog is lovely. Your family is lovely. Just popped in on a whim today. I love your ideas on different blogging types. Like you I consider myself a digital scapbooker and love recording lots of pictures. I also agree with your thoughts on creativity. I love doing those same birthday things with our kids and was doing this way before I blogged and will after too. But again I am not naturally gifted this way but have to think, plan and look for inspiration and then the work of making it happen, to make this my vocation. To me it is part of my vocation, but again like you say it does not mean everyone has to conform to what I do. Amy, there is nothing wrong with being a Random Diary! You blog about whatever you feel like. And you blog when you feel like it. Nothing wrong with that or any of these categories. I like to be organized and this is how I see the blog world organized for the most part right now. I'm a Random Diary, too! Why do we try not to be? For the life of me, I can't figure out how to become one of those others. Maybe I'm not meant, to. I was teasing, sort of, lol. I want to be another kind of blogger, but it is so hard! I have ADD when it comes to crafts, etc. I get so excited. Share all the things!!! I probably fall into digital scrapbook. I love this post, your blog, and your honesty! Thinking you are my twin today. And I too do everything for me and the kids, but love to share the ideas. I have only posted about 1% of the stuff we have even done this past year or so. and half the time I never (forget) take pictures. Guess I am a digital scrapbook like blogger too. But mine is missing a few pages lately. Well I have them I just haven't put hem in the scrapbook yet ;) hope you are having a good day. Love this so so much. I agree completely about the nitty grits. I can't read too much and usually none at all because you are exactly right, a part of me can't figure out what exactly is real and what is not. and the same things run through my mind. And this messed up definition of "real" has GOT TO GO. It is absolutely ridiculous and offensive to accuse certain people of not being "real" since they don't show you all their (literal and figurative) dirty laundry. I love your blog and I thank you for sharing it with us. It has helped me to see the joys in my life when far too often I'm tempted to see the negatives. It was blogs like yours that motivated me to start my own for the same reasons you mentioned at Hallie's. Just curious, are you a melancholic choleric? We sound so similar. Thank you, thank you, and thank you again for writing this post. Another big thank you for the comment on Hallie's blog. This comment truly had an impact on me and the reason I blog. I have not been blogging as much and it has been very random. I thought perhaps I was being vain, etc. in posting beautiful pictures, telling others what worked for our family, and daily fun that I want to remember. I have been away from family more almost a decade. A blog was a way for me to show everyone what was going on and helped me clear my own thoughts. I never thought about it until your post, but I too am more anxious and have been especially with my current pregnancy (expecting our fifth! So excited, even if family afar thinks I am stupid and stretching myself thin, how do I afford it, blahhh). I loved blogging. Loved showing the photos I captured of my babies, recent trips, and my favorite of everyday life. You helped me figure put why I enjoyed blogging mostly the beautiful moments. It made me happy, it made me that, hey, I do have things under control, and looks at all the great stuff we do. I love your blog. I love your coloring pages and Catholic celebrations. When I stumbled on your blog and Jessica at Shower of Roses about 7 years ago, I was a newly married, pregnant with my first, just moved to West Texas (I am originally from the Midwest), and had converted to Catholicism. I wanted to learn more about our faith, teach my child, and see what other Catholic moms were up to. Little did I know how much you all would inspire me and truly love my faith and vocation as a wife/mother. I take each blog I read and enjoy them. Sometimes, I'm inspired. Sometimes, I'm brought to tears, happy and otherwise. Sometimes, I laugh. Truly. I just enjoy them. I have actually met people in real life from reading these blogs. I've connected with so many people. Never have I ever thought some of the thoughts that I'm sure people have let come through their fingertips into comments (and I'm not talking about the sincere nice ones). This is so insightful! I think you absolutely nailed the four main types of bloggers, and I love the encouragement to lift one another up! I would suggest, though, that some of what you said about the other types of bloggers might be as discouraging to them as the critiques of your type of blog are to you. I can think of a couple of blogging friends who clearly fit into the Nitty Gritty category who would be pretty bummed to read you say, "If your life really is that out of control, would you really revel in it? Why wouldn't you take steps, any steps no matter how small to try to help make it better." And you might be surprised by the behind-the-scenes workings of some of the Professional bloggers. For example, at the National Catholic Register we are paid a flat fee per post, and are actively discouraged from writing for traffic. In fact, they don't show us our stats. We have no idea what our traffic is, for the very reason that they want us to focus on writing what we're called to write without stressing about numbers. Anyway, all of that was just inspired by the overall point of your post. I totally agree about the importance of building one another up! Thanks for adding some great thoughts to this discussion. Thanks for your comment. I think maybe you might have misinterpreted what I said. My comment about reveling in a life that is truly out of control is what goes through my mind when trying to determine what is real and what is hyperbole in a Nitty Gritty blog. It's not a judgement about someone's life, more their writing style. It's the practical nature of my thought process. I get frustrated by being considered "too good to be true" and these blogs are applauded for being "more down to earth and real". My point was simply that I have a hard time knowing what about their stories are really real and to me, it seems just as unreal as my life seems to them. As I said, I don't think they are lying and I don't think they are only exaggerating for effect and I did say that perhaps it is a laugh through the pain kind of moment and that is something I can understand. If that's what gets them through, then I can appreciate it even if I don't understand their specific tactics. And while I can appreciate that the NCR might have those standards, that's not the case everywhere. There are plenty of other places employing professional bloggers that do care about click-thru's and reader stats. Also, some professional bloggers don't work for a specific company but have sponsors instead. And some blog as a means of marketing their products such as books or their persona as speakers which is also a kind of profession. I never said there was anything wrong with being a professional blogger. I hope you don't think I'm trying to subtly put you or anyone else down, you know in that "I'll make this look like a compliment kind of way but really I'm going to trash you". That's not my intention. Professional bloggers have to do what is best for themselves and their families. I'm the kind of person who looks at motivation (it's the Drama major in me) when studying and learning about people. It usually makes understanding them a little easier. I just wanted to repeat what I said on Facebook and tell you again how much I loved your comment on my blog. The number one critique I get of my writing is that it's too sweet, too pretty, not real. And it does hurt. So I'm sorry that you've felt judged by others. I also hope that it was clear that I was not criticizing pretty blogs. Though I do appreciate that more women are finding their voice and confidence and feel more comfortable seeking our support online, I also truly meant what I said when I wrote, "I wish we could all see (and celebrate) these snapshots for what they really are: glimpses of momentary victory." Keep showing us those moments, Charlotte! God knows I need them! I really do appreciate your clarification because I must admit that this sentence "I think this issue of blogs being a little too pretty and not giving an accurate picture of the struggles inherent to life (motherhood, womanhood, work, marriage, faith, etc.) is a real one." kind of made think that you were saying the pretty blogs have caused this problem and that the way to fix it involved baring our souls and dirty laundry online. I see now that's not what you were saying. I appreciate your balanced approach to blogging and I know that what you contribute to the blogging world speaks to so many feminine hearts out there. You're right, that wasn't clear. I think what I was trying to get at (and this is what I get for blogging in the morning with an infant in arms) is that there used to be less of a balance of rosy and gritty blogs. A lot of women I've talked to said that they felt very alone because it seemed like no one else was struggling along side of them. I love that we have a sorts of voices sharing all sorts of stories now. I believe different styles of blogs appeal to me at different times for different reasons. Some blogs stay in my feedly permanently, some drift in and out. Talking my thoughts in general now - when a blog is bothering the reader, generally it may mean simply you need to take a break from reading, usually it says more about the stage of life you are at, not the bloggers. ie if you are in the throes of hs burnout, then reading posts of those who are in a hs high, isn't the best to do. But rather than drag down the one currently achieving, exult in their success but stop reading for awhile until you are in a better space. Sometimes too it is about maturity and accepting yourself for who you are, I'm the first to admit, my decorating style, my crafty style is not the same as many of my talented friends, for a while it got me down, for a while I tried to emulate, but that is not me, God gave me my talents. With maturity I can now accept that and admire my talented friends without envy. OT: Erin, did you see my post about the St. Mary MacKillop coloring page? I sent you an email from my new email address. I did:):) Left a comment, and will email soon. Also I know I don't need to mention my blog is Nitty Gritty seeing how Poopy Diapers is in the blog name. I think it's interesting what you said about that category... As for trying to figure out what's real (etc) I do tend to gravitate toward Nitty Gritty blogs because life is hectic and tiresome and I need to be uplifted with abased humor and craziness. lol. Same as my very real nitty gritty life. Yes my laundry is over flowing and no I don't know how to make heads or tales of it or purge. I wish I did. But I always do enjoy a look into other lives. I do agree with the inspirational blogs though. Man, I just need a laugh sometimes. :) That's what so great about blogs though. Find a writer you like and stick with it. Just like authors. Not every genre is gonna fit. Thank you for your comment. I really have to say that I find it hardest to understand Nitty Grits simply because I think they are the kind of people who are the complete opposite of me. Also, I think you hit on something else that I hadn't thought of. A lot of Nitty Gritty blogs employ sarcasm and I have a hard time reading sarcasm online. I mean actually detecting it. There is something about sarcasm that I can only detect with my ear. I have to hear it. I think it involves so much tone of voice that just gets lost online. Maybe the people who really like Nitty Gritty blogs are just better at detecting sarcasm in the written word than I am. And I think it also has to do with our perceptions. For me, I know life it hectic and tiresome and being reminded of it over and over online makes it worse. I like to know that there is hope. Wonderfully written post Charlotte. Like yours, my blog falls primarily into the digital scrapbook category (although I'd never heard it put like that before) which works really well for me and provides a useful record of our daily lives. This is a great post, Charlotte. I used to stress over every negative comment I got. And then, at some point, I realized... I don't care! I blog for me, for my family, for memory and for therapy. (Not so much lately, but still.) Then I enabled comment moderation and started just not publishing or deleting the unpleasant ones. Not friendly disagreement, just the uglies. I figure it's like having someone walk into my home and start yelling at me or criticizing me or whatever. I'd ask that person to leave, and I'd not invite them back. Same goes for the blog. It's an extension of my home, and if you can't be civil, you aren't welcome. It helps that sometime in my mid-thirties, I quit worrying about whether or not people "approved" of me. :-) Anyway, you have a lovely blog. Be you and don't worry about the folks who don't appreciate it. Lately I've found myself genuinely annoyed by thoughtless comments on some of the blogs I read. Maybe we should consider our fallen nature before lashing out against someone's awesome birthday cake or feast day celebration. I recently read one especially annoying comment to a baby shower post where the commenter whined that she didn't get a shower for HER second baby. What? The nitty gritty chaos stresses me out, I forget they are written for an audience that enjoys the story. I sometimes feel an attitude like "all the cool moms" revel in the chaos and those who try to find order are mundane. In real life I've experienced hurtful comments for being the mom who remembers everyone's water bottle, or hand sanitizer, or band aids....or to pack a lunch for the zoo. I know this is all me - but that is why I can't handle too much of it. I need order in my life. I feel a duty to keep the house together, I don't need encouragement to throw my hands in the air. Again, that's a personality thing. This is a good post and I hope that I don't sound rude. I know we can all learn from each other. One more thing...it took me a while to realize that I don't connect with many of the blogs that "everyone" loves. Sometimes things get under our skin or press our buttons, and I thought Simcha spoke to that so well, that we must click away when something is causing us to feel that way. This is what I should have said to start with. I agree that it does sometimes feel like "all the cool moms revel in the chaos" but from what Hallie has said and from what Simcha has said, maybe it's the "in thing" to do right now only because it's a reaction to all of the "pretty" "impossibly charmed life" blogs that these women saw populating the blog world originally. Being a huge believer in the fact that the pendulum has to swing far to the opposite side before it settles back down to the middle, I'm willing to patiently ride this "in thing" out and hope that we will see a small resurgence of looking for the beautiful or making order out of chaos blogs sometime soon. Those are the ones that speak to me too, as long as they aren't too poetic. Because I like categories too, I've been pondering where my blog fits in your schema. I feel like I could slot it into any of them except the Professional category, though I think truly the best fit is Random Diary. I think my Random Diary format allows me to have entries perhaps even periods when I write in a Nitty Gritty vein, when I write Spiritual/Inspirational, and when I keep a Digital Scrapbook. To start with the last category, I like using my blog to keep a record of the beautiful, the funny, the inspiring. I have used it as my children's baby book, as my planner, and as a commonplace book to record bits and pieces of things I want to remember. And yes I have written more than my share of spiritual and inspirational posts, even wrapping things up with a pretty inspiring message. For me that vein is rather therapeutic. I highlight the spiritual moments in daily life because I need to remember to look at life through that lens. I need to remember to look for God's hand in the daily grind, to see that the beauty comes from him and the struggles lead to him. Sometimes I write to find God, to talk to God. My writing becomes a prayer, a form of meditation or lectio divina. Sometimes I need that kind of writing because otherwise God gets lost in the shuffle. But I agree it can be too much and I can't read too many of those kinds of blogs on a regular basis. Nor can I write like that all the time. And yes, I see myself in the nitty gritty category sometimes too. I wish I had a talent for organization. It's something I so very much want to be good at and yet... it's just beyond my grasp. I can achieve little bits of order for short bits of time, but sometimes I have to embrace the nitty gritty because otherwise I'd despair at how far I fall short of the perfection I know I can never reach. Things around here are never as tidy as I'd like, I can't figure out how to declutter and get rid of the junk that drives me crazy because my nature is more packrat than I care to admit. I don't know how to conquer my inner packrat and so yes I laugh about the mess and I throw up my hands and wail at the chaos in a way that might seem like reveling in it if you don't know me better. Because you can either laugh about it or get very, very depressed at how far you fall short. I think I'm a random diary kind of blogger precisely because all the other categories feel too narrow. I can do it for a bit, try on the style, but then I have to move on to the next thing, wear a different hat. I can be a mommy blogger one week and then a homeschool blogger and then a book blogger and then a Catholic blogger and oh yes I see that I like categories but I also find them confining. What an interesting thread! I didn't realize there was a type of "mommy war" going on in the blog circles -- for lack of a better word. I read my faves when I can (which can be reading them daily to skipping for a month or so at a time when life is busy) and I learn from all. I love all the pretty blogs that are there because people like Charlotte and Jessica keep me inspired with such beautiful ideas...love the cake ideas...couldn't imagine all of this myself! But I also enjoy a good laugh from the "real" blogs. 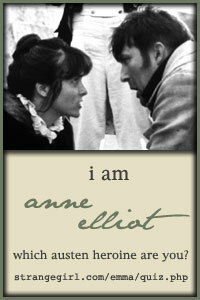 I tend to be spiritual...for the same reason Charlotte says she started blogging. I get bogged down in the everyday trials that reflecting on the spiritual significance of it all helps draw out the beauty in it FOR ME....I do not blog regularly and will pick it up here and there to suit my moods and needs. I really see blogging as a way to give voice to my own struggles or trials. I have not used it yet to catalog my family's life...it's more of a catalog of my spiritual journey. I think there is something healing to sharing/reflecting/validating. It gives the struggle "honor" -- so to speak. 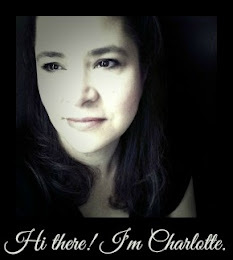 Thanks for your post, Charlotte, and your honesty! I have used so many of your awesome coloring pages but now am excited to read more of your posts too. I'm glad you helped stir up this conversation. I would hope that my blog, Suscipio, fits into all those categories. There are days when I want someone to make me look at the crumbs ALL.OVER.MY.FLOOR and see Jesus (not literally like in some crumb formation mind you). On other days, I think it's ok that no one's home, the blog is silent...and life still goes on without the chattering narrative and sun glare photos to document the day. Nitty Gritty is real life at it's most harrowing...and we all live it one time or another; that's when I sigh and think at least my laundry pile is smaller...or...her laundry pile can't even compare to mine! And some days I want to see the Vatican constructed out of glitter encrusted, organic popsicle sticks on a DIY Pottery Barn Farmhouse Table knock off. It's eye candy and since it would be uncool to look at a Chippendale dancer as a 41 year old, Catholic, happily married, homeschooling, mother of 7...I can oogle the latest table and still feel respectable when I get up from the computer. Hi - I just wanted to apologize for making you feel uncomfortable for using your comment on my blog. To me, public is public is public, so it never occurred to me that I had crossed a line. Sorry about that. Not to worry, Simcha. I think it did help start a conversation and open conversation is key to good communication. I never imagined that I would find it published on your blog, but you are right... I did post it publicly. You didn't cross any lines. If it truly did help you come to a realization about "pretty blogs" like mine to see them as possibly a coping mechanism and not an attempt to make anyone feel inferior, then that's great! I found your blog via Simcha Fisher and would like to contribute to what I find an interesting discussion. I prefer the Digital Scrapbook category of blogs for the same reason you blog. I need to find the beautiful in my everyday life. I need inspiration. I want to read about happiness that children bring, about baking and reading and all that nice stuff. I have two little ones and I find motherhood exhausting. I have battled anxiety for over 10 years now, and family life has presented me with new challenges. I find the pretty blogs soothing and refreshing. They help me cope with the mundane and the difficult in my life. Thank you for your contribution. I've subscribed and will pop in here often.